West University Elementary School - Proud of Our "Inner City School"
I guess the phrase “Inner City Schools” can’t be used as a put-down anymore – or at least not with respect to West University Elementary School. According to Children at Risk, the public schools can be found in two very different places – in the big “comprehensive” suburban schools and in the program-specific Magnet schools of Houston’s inner city. For example, my office is located directly across the street from West University Elementary School. My son Christopher attended this fine school in the eighties. Back then, West U had the highest concentration of medical professionals of any city in the US. So a Magnet program emphasizing math and science was (and still is!) a perfect fit for this school near the Texas Medical Center. And a wonderful school it is! 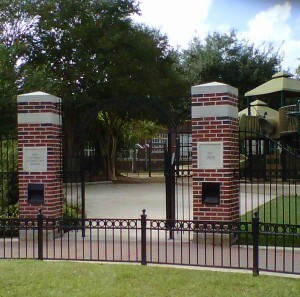 In 2010, the children of West U Elementary ranked ninth in the Houston area and thirty-fourth in the state. In 2011, they progressed to fifth in Houston, and thirty-third in Texas. In 2012, they ranked fifth in the city and eighteenth in the state. I congratulate the dedicated teachers, administrators, and parents who make this excellent school a “magnet” to parents moving into the City of West University Place!